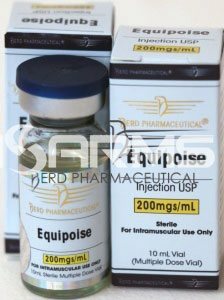 Equipoise is a veterinary injectable steroid that is mainly used for horses and cattle. However, it is also popular among bodybuilders and athletes for its good risk-to-results ratio. 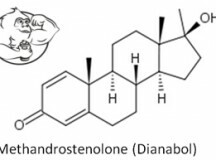 Although this testosterone derivative is a very close relative of the steroid superstar Dianabol, it has a different set of properties. Equipoise (chemical name boldenone undecylenate) was developed by the pharmaceutical company Ciba, the same company that created Dianabol. Boldenone undecylenate was meant to be a long lasting version of dbol that would be given to horses and cattle every six weeks. In these animals, equipoise considerably improves appetite and lean mass, as well as overall behavior. 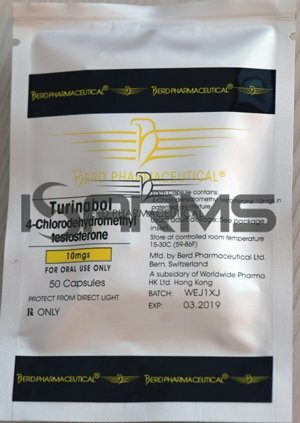 In spite of the popular belief that boldenone undecylenate has never been approved by any governmental institution for human use, Ciba actually did produce EQ for human use. It was sold under the commercial name Parenabol for almost two decades. Due to its ligament preserving quality, as well as bone mass preserving, it was widely used for the treatment of osteoporosis and other related health conditions. However, it was the only version of boldenone that was ever produced and approved specifically for humans. Still though, it is widespread among athletes, who appreciate its anabolic properties and purchase either veterinary grade equipoise, or the underground versions sold under different trademarks on the black market. Chemically, boldenone undecylenate is almost identical to methandrostenolone (dianabol). There is only one structural difference between these two anabolic agents. Dbol is an oral steroid with a c17 alpha alkylated group (c17aa) added in order to survive the first liver pass. On the other hand, equipoise is not an oral steroid, and it therefore doesn’t need the c17aa group in its structure. What it does have, is the undecylenate ester, which provides a slow release rate into the system after being injected. For some reason equipoise seems to be a very underrated steroid. One can agree that it doesn’t give extreme mass gains, nor is it fast. However, many tend to forget that apart from anabolic effects, its main property is mass preservation. Therefore, since it will help preserve a lot of lean mass gains, EQ can be a very useful stacking steroid both for cutting, and bulking anabolic androgenic steroids (AAS). Besides, its side effects are very mild. The weak side effects and slow mass gains require long cycles in order to appreciate noticeable results. Even if these will not be clearly visible right away, one can be sure that strength and endurance will be considerably enhanced. Due to its outstanding nitrogen retention ability equipoise helps to have some very hard and well defined muscles, and will perfectly fit in a stack with Trenbolone or Winstrol. 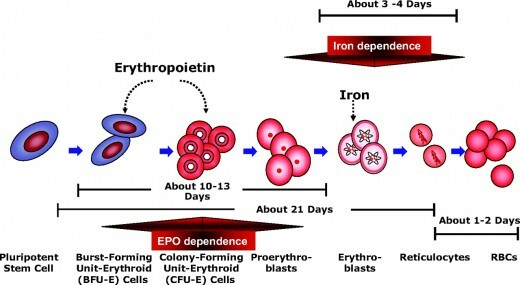 Erythropoiesis, or simply put – red blood cell production, is another physiological process triggered by equipoise. As a matter of fact, all steroids increase red blood cell count, but equipoise stands out in this aspect. This is a very crucial property for any steroid to have, because more blood cells means more oxygen will reach the muscles through the blood. And as we all know, oxygen is essential for the muscles to work properly and perform to their maximum capabilities. Therefore, erythropoiesis is an extremely beneficial property for bodybuilding. 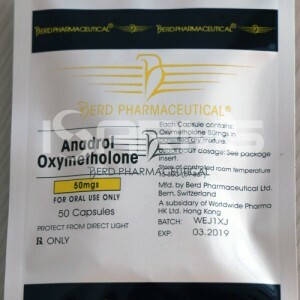 Boldenone undecylenate barely presents any androgenic effects, and these usually take place when over-the-top dosages are taken without any ancillary drugs. Hence, it is quite popular among female athletes, who find EQ to be a fairly safe steroid when used in low dosages. Female athletes limit themselves to 25-50 milligrams (mgs) per week. That dosage renders substantial results and makes the use of EQ relatively risk-free. Some women do take 75 mgs weekly, but the additional results are not worth the additional virilization risks, especially with such a long acting steroid as equipoise. Either way, if virilization effects take place, boldenone undecylenate should be immediately discontinued. The minor structural difference between the two steroids causes drastic changes in their performance. Dianabol is famous for its bulking effect and the puffy massive looks it gives. In comparison, equipoise is a renown cutting steroid that provides a very lean and defined musculature. Another big difference between these two steroid “brothers” is that due to its long ester, equipoise is an extremely long lasting steroid. It will stay in the organism for weeks, and sometimes even months after being injected. Meanwhile, dianabol usually gets depleted and excreted by the body in a matter of days. In recent years equipoise has gained great popularity as a good replacement for Deca Durabolin. Equipoise and deca have many structural differences, but they are similar in regards to their properties. Both of them give very lean and hard muscles with moderate side effects. However, mass gains are somewhat slower with EQ and tend to contain a little less of water. This is explained by EQ’s aromatization rate. It is substantially slower than testosterone (approximately 50% slower); nonetheless, it is still higher than deca’s aromatization level (30% lower than EQ). The mild nature of equipoise’s side effects makes it a huge competitor to deca durabolin. They share similar anabolic properties, but equipoise has less side effects than deca. For that reason boldenone undecylenate has become very popular both as a stand-alone and as a stacking steroid. What is so good about stacking EQ, is that it can be used both for bulking purposes and for cutting. Moreover, it stacks well because it does not cause additional side effects. Boldenone undecylenate has very mild side effects, most of which happen when really high dosages are injected. While equipoise aromatizes very poorly and estrogenic effects are infrequent, gynecomastia can theoretically occur in those with a predisposition. These few estrogenic side effects can be easily dealt with by using such ancillary drugs as Nolvadex and/or Proviron. Certain androgenic side effects are possible. Among them are cases of oily skin, acne and hair loss. Yet again – these are also usually related to high intakes of boldenone undecylenate, and are not frequent when moderate dosages are taken. 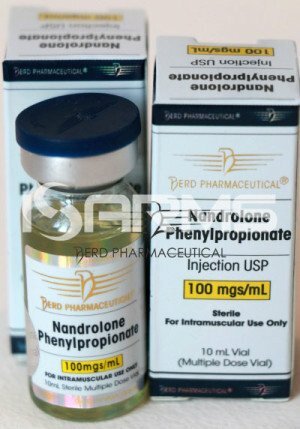 Although the interaction of equipoise with the 5alpha reductase enzyme does produce a more potent androgen (dihydroboldenone) in laboratory conditions, its affinity to convert into this androgen in the human body is non-existent. Therefore, using reductase inhibitors like Proscar will render no results. There is another side effect that is commonly reported by equipoise users – it drastically increases appetite, and cravings can occur. Although it is not a threat to health, it may be a concern to those running a cutting cycle. In such cases, it is recommended to start with a lower dose of equipoise in order to prevent these problems. Like most AAS, equipoise is very suppressive to natural testosterone production. Therefore, long cycles (14-16 weeks) that are normally ran with equipoise require a responsible approach to cycle planning and post-cycle therapy (PCT). 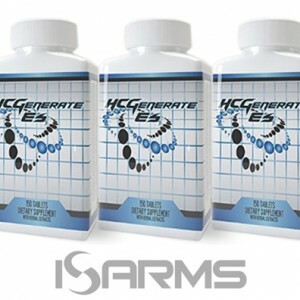 HCGenerate ES and Clomid will assist you in maintaining a steady hormonal level and avoid sexual dysfunction. Bodybuilders usually inject 400-600 milligrams (mgs) of boldenone undecylenate each week. Experienced athletes sometimes venture into higher dosages of 800 mgs per week. 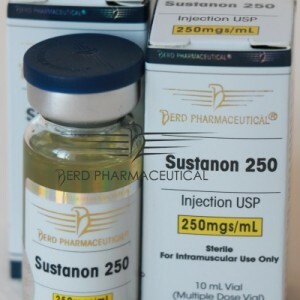 This steroid actually stays active in the system for about four weeks, but the weekly injection schedule allows to have a more stable level and a higher concentration of the active substance in the body. 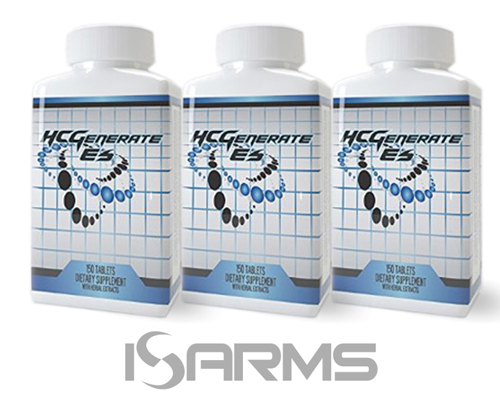 Together with endurance and strength; equipoise gives a very high quality muscle mass. However, it is not a fast acting steroid and therefore its gains are slow and steady. Thanks to the mildness of side effects, cycles can be really long. The average cycle will be of 14-18 weeks. Some bodybuilders run 20 week cycles, but such a long cycle will require additional precautions and experience. 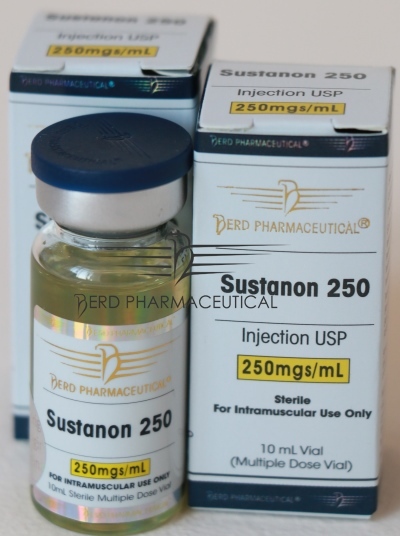 If stacked with such steroids as Anadrol-50 or Sustanon 250, equipoise can be effectively used for bulking purposes. This kind of a bulking cycle will produce good muscle gains and hardness. Average bulking dose is 600 mgs per week. For cutting phases, it can be either combined with Winstrol, Trenbolone, or used alone. Incredible vascularity and muscle definition will be guaranteed. Average cutting dose is 400 mgs per week. Those taking high dosages of equipoise should continuously rotate injection sites because high dosages of EQ come dissolved in a lot of oil. If injection sites are not rotated properly, infections and irritation may take place, and, in some cases, the assistance of a physician might be necessary. Hence, a responsible approach to equipoise injections is a must. 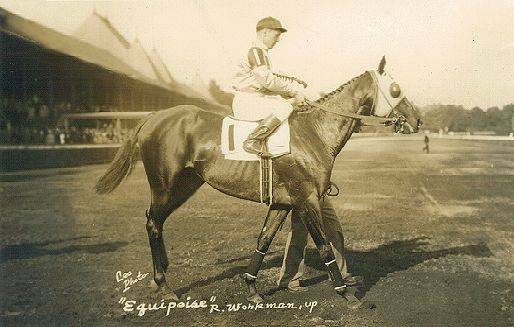 Equipoise’s half life is approximately 14 days, and it takes about 6 weeks for the substance to get cleared from the body. However, like most esterified steroids, boldenone undecylenate will stay in the system for up to 2 years. That is yet another similarity of equipoise with deca – traces of EQ can be found in the urine months after the last injection and sometimes even a year and half later! Hence, if you are subject to doping tests, equipoise may not be the best choice for you. Equipoise is a very versatile steroid that can be used for bulking and cutting, stacked with other AAS or alone. Mainly, it provides a very lean muscle mass with a good strength boost. It gives slow, but steady results that require relatively long cycles to be ran. Boldenone undecylenate is often compared to deca durabolin because their anabolic properties are quite similar. Their biggest difference is that EQ has considerably less side effects. Perhaps the biggest disadvantage of equipoise is its detectability. Traces of equipoise can be found during testing long time after injecting it. Therefore, athletes who are subject to drug testing should be very careful with equipoise. All in all, it is a very safe steroid that gives more than decent results and is very versatile. This mildness makes equipoise one of the top choices among female athletes. © 2015 iSARMS.com, LLC. All rights reserved. Can testosterone improve mental function?